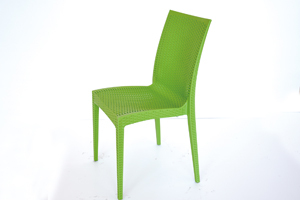 We offered more than 200 sets of various kinds of chair molds every year, it is with arm chair, armless chair, rattan chair, gas assistant chair, sofa chair, PC chair, beach chair and so on. To make a good chair mold, good mold structure design is the precondition of a qualified mold manufacturing, with our precision tooling equipment and strong project following team, we can finish chair mold production time is 60 days. Our chair mold will realize interchangeable inserts block of different versions can be easily replaced on the machine directly. Common chair cycle time reach 35- 40 seconds for high speed running. Dakumar machines model DKM850 ton is suitable for normal arm chair and armless chairs with weight about 2kg, if factory have good condition for cooling system and water temperature about 12 degree, then the cycle time should be 40- 50s. PC chair and gas assistant chair need machine DKM1350 ton or DKM1650 ton, the cycle time depends on different mold structure. 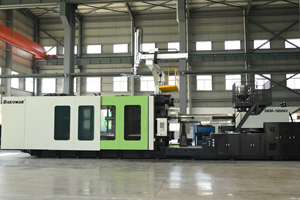 We offered plastic chair turnkey service in many different countries, such as Mexico, Venezuela, Russia, Egypt, and some lines with robots to take out chairs, if you are interested, welcome to check the production testing video for arm chair mold on machine DKM780SV by YouTube link as: https://www.youtube.com/watch?v=0raF_q2OJog. Ensured that you must be deeply impressed by our plastic household production line.